Find The Best Broker For You! Founded by professional Australian trader, Davin Clarke. Davin’s long experience in the online trading industry is reflected not only in the operational side of the brokerage firm but also in the pricing offered. TradeDirect365 does not use client money for hedging or any other operational purpose. As a welcome bonus, open a new TradeDirect365 account here and receive up to $2,500 trading cost rebate in your first month of trading (T&C’s apply). After trading for a month, traders simply email support to claim their bonus. Stuart Young (reviewer from Online Brokers Australia) performs a review of CFD broker TradeDirect365 with Davin Clarke (Founder & CEO of TradeDirect365). All the above spreads are fixed throughout the day. Large variety of CFDs to trade, including fixed spread cryptocurrency CFDs. Single Currency Trading account available. The benefits include no converting profit or loss from a foreign currency to your base currency, no swap or conversion fees, and traders know their exact dollar risk amount in their base currency without performing additional calculations. MT4 platform available in addition to their very easy to use TD365 platform. Our TradeDirect365 review highlights an Australian regulated, CFD broker with fair, simple and very low cost online CFD trading accounts. MT4 platform is available and the very easy to use TD 365 trading platform with the option for single currency trading. TradeDirect365 particularly excel in fixed spread contracts for difference (CFDs) segment with incredibly tight fixed spreads on the majority of their products! Why Is There Only A Select Group Of Brokers Listed? The key mission of Online Brokers Australia is to make it easier for traders and investors to easily find a quality, Australian regulated, online broker who meets their needs. This sounds as if it should be relatively easy, just look at a broker’s web site and see if it suits the trading needs you have. As anyone who has already tried to do this knows, it's not that easy! Brokerage firms generally have a wealth of information on their web sites. The trouble is that sometimes there is so much information on their site that it becomes onerous to simply find the key facts you are looking for. Online Brokers Australia not only independently review each broker with a stringent set of criteria before they are even listed on the web site. If a brokerage firm doesn't meet our initial stringent requirements test, then we simply won't list or review them. It's that simple! The effect of this policy is that brokers who are listed on the review and comparison site have met the initial requirements prior to being fully reviewed and classified. To put it simply, we don't want to overwhelm readers with lists and even reviews of every broker in the financial markets. Suggestions on the type of trader or investor a broker or financial service provider might be most suited to. The short video below sums up how we achieve our mission. Who Performs The Broker Reviews? Stuart Young founded Online Brokers Australia in 2014 and is the reviewer of every brokerage firm or online trading product/service listed on the site. 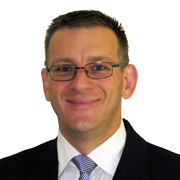 In our belief that transparency is critical for any leading review and comparison site, please view Stuart Young's LinkedIn profile for more details on his extensive experience in the online trading industry. How Do You Differ From Other Popular Review Sites? We have an excellent relationship with the brokers on our site - Mutual respect is critical to providing a "win win" outcome for all involved with our business. This is includes readers of our reviews. Our relationship with the brokerage companies is built for the long-term. 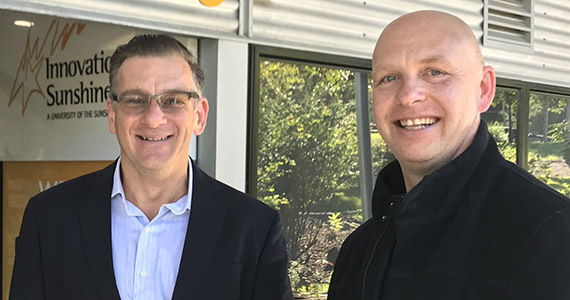 As Stuart talks to them on the phone, has visited many in person at their Australian offices, and is a respected trader himself, this has built a solid mutually respectful relationship. This is an excellent question and one every single trader or investor who reads online reviews should always ask! There are so many "faceless" brokerage review sites where traders don't even know who has reviewed the firm and what their experience or credentials in the online trading and broking industry are. An online trading account not only holds your open trades or positions but any cash left in the trading account. Why make such an important decision based on any online review where you can not even tell who actually wrote it, let alone the credentials and experience they have in the trading and brokerage industry. At Online Brokers Australia we do things a little differently and we're proud of it! We now visit many of the brokers in person! As of 2018 and moving forward we actually go to the brokerage firms office and meet them in person. It is a mandatory requirement for any Forex broker or CFD provider providing financial derivatives to make their average spreads, not just from spreads, publicly available. The brokerage firm must either display the average spreads on their own company web site or submit in writing their average spreads for the financial instruments requested by our reviewer, along with written confirmation that these trading spreads can be published on the review site. This is another area where we differ significantly from the vast majority of existing online broker comparison and reviews in Australia. By only displaying "from" spreads in their comparisons, our competitors are not providing a holistic picture of the potential costs associated with trading at a specific broker. It also ensures our online trading account comparisons are comparing "apples for apples", not just a figure that is generally known as a marketing tool (i.e. the "from" spread). This advice relates to an investment or trading service/product. I'm sure almost everyone reading this has heard advertising by property developers stating, "land from $$" or "house and land packages from $$". All this tells you is the absolute minimum price you can possibly pay. As we all know, this will generally be for the smallest block or worst position in the estate, and the vast majority of other properties in the development will cost you significantly more to buy. Asking what the "average" price for the whole estate would give a much more accurate representation of the potential costs / fees / charges you need to factor in. The exact same logic applies to the trading spreads (the difference between the bid and ask spread). Providers of derivatives for online trading often display only the from spread in their advertising or marketing. While trading the EUR/USD from 0 pip spread sounds attractive, in reality, traders will not receive a spread of zero every time you place a trade in their platform, and the more representative figure of what your trading costs will be is knowing the average spread for the instrument, in the trading account you are considering. Essentially this is price you will pay on average to trade (buy and sell) that instrument, and therefore we always display the average spreads in our comparison tables for derivatives accounts. We strongly suggest if the broker review or comparison you’re considering does not display or comment on the “average” spreads in their CFD / Forex trading Australia reviews & comparisons then you are not able to make a fully informed decision as to which is the best trading account for your own needs. 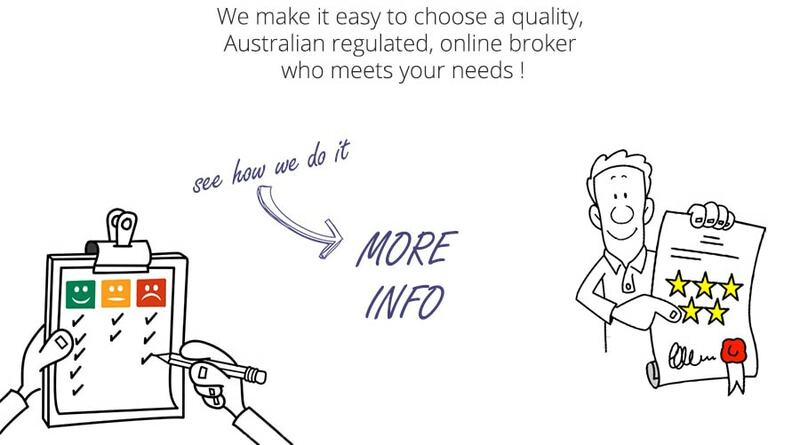 Can Only Brokers That Are Australian Regulated Be Listed? Yes. Our site is dedicated to Australian traders and it is a mandatory requirement that any online broker listed or reviewed on the site is Australian regulated. If your brokerage firm does not have a current Australian Financial Services Licence (AFSL) please do not inquire about being listed on this web site. A full Forex broker Australia list can also be found on our Online Brokers Directory partner site. Contracts for Difference (CFDs) & Forex (Foreign exchange) are complex, leveraged financial products and requires a certain level of experience, so may not be suitable for everyone. CFD and Forex trading carries a high level of risk to your capital and can result in losses that exceed your initial deposit. Online Brokers Australia reviews and comparisons are conducted independently, however brokerage firms / financial service providers, including their online trading platform or products listed on this web site may not suit your financial situation, personal objectives or needs. See full Risk Disclosure. If you are considering any financial product, you should always read the relevant Product Disclosure Statement and/or other offer document/s prior to making any financial decision. If you are unsure of the risks, or have any doubt whether you have sufficient financial resources or experience to trade these products, you should take professional advice before trading online.